As an author whose 6 books have been published by Indie publishers (Lite Circle Books, Vegetarian Resource Group, Cold Moon Press, and Mockingbird Lane Press), I’m always interested when I hear of someone starting a new Indie Press. Founding an independent press requires optimism, a willingness to learn, hard work, and a love of books – not to mention luck and a little bit of money. A friend who founded an Indie press said she was motivated by a desire to publish the kind of books she liked to read. Another friend began a press to publish her own books just the way she wanted them to be published, then began accepting book manuscripts from other writers. Still another friend founded an Indie press because she was interested in books that promoted certain ideas in which she believed. I just read a good interview of Bacon Press Books founder, Michele Orwin, on writer C.M. Mayo’s blog. I think you’ll find it informative. For those who write speculative work, a good source for locating Indie publishers of genre books is Ralan.com. If you want to check out my Indie press published books (Owl Light, The Greener Forest, The Enchanted Skean, etc.) – you can see them (and maybe purchase one or more) on Amazon and elsewhere. This is the thirteenth blog in a series of owl-focused posts to promote Owl Light, my new YA-friendly collection of stories featuring owls. Each post features a mix of owl art, facts, folklore, quotes, and links to owlish sites. If you’re a fan of owls, or know someone whooo is, follow my blog, buy my book, and be kind to these beautiful birds. Owl art: One of my owl pen and ink sketches from Owl Light. 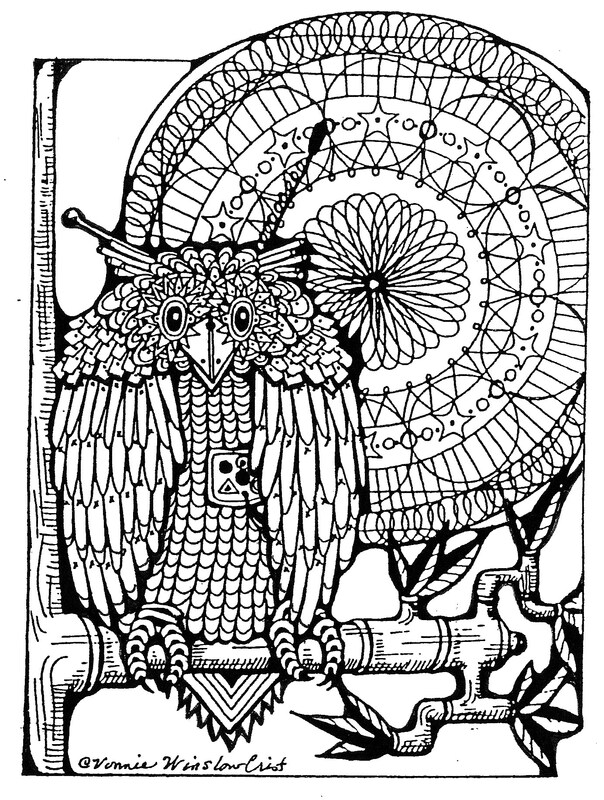 I had great fun creating this “Clockwork Owl” to go with the book’s opening story of the same name. Owl fact: Unable to move their eyes very much within their sockets, owls instead must move their heads to see. And wow do they! They can turn their head up to 270° (but not all the way around 360°). Owl saying: I live too near a wood to be scared by an owl. Owl link: For fans of Snowy Owls, Paul Asimow’s Snowy Owl Page is a must see, and a fact-filled Snowy Owl video. 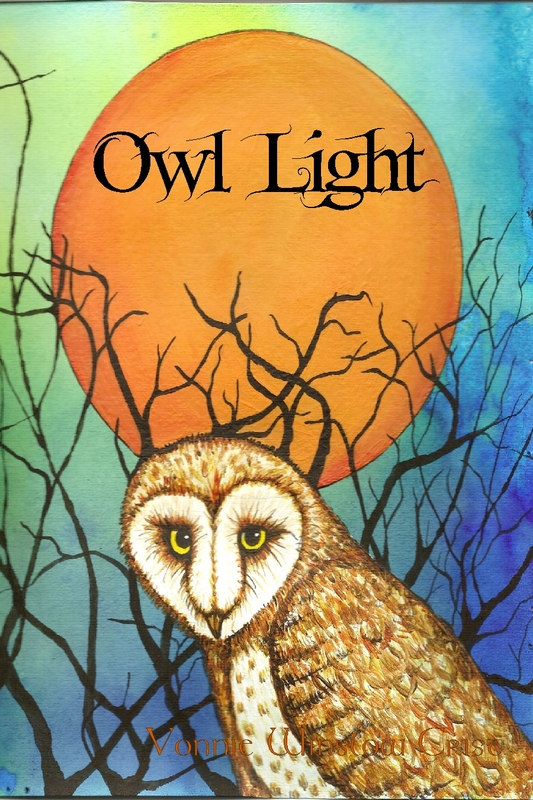 I’m really excited my newest book, Owl Light, has been published. I’ve added owl information and videos to Whimsical Words, but I need help from my friends and readers to make Owl Light a success. My publisher, Cold Moon Press, is indie. What that means is their marketing budget is tiny, but YOU, my friends and readers are mighty. I’ve compiled a list of things you can do (#1 requires spending money, but the rest are free) to help promote Owl Light. (And, if you choose, my other 2 recent books, The Enchanted Skean and The Greener Forest, also from indie presses). I’ve tried to make the tasks on this list as easy as I can – in some cases, a simple cut-and-paste. But, as easy as these tasks seem, each and every one of them will have a huge impact. 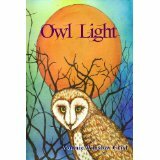 My user picture today is the cover of Vonnie Winslow Crist’s new novel, Owl Light, a collection of dark fantasy & science fiction tales. Check it out at Amazon, Barnes & Noble, and elsewhere. Pin Owl Light or one of Vonnie’s other books. 3a– Post about Owl Light, skipping the icon. That’s great, too. 5– Freely post this specially-written blog post as a guest post on your blog. You don’t have to ask permission or anything. Just copy, paste, and publish. 6– Tell a fellow reader about the book, face to face or in email. 7– Chose Owl Light for your readers’ or book club’s selection. Contact me using the form on my website and I’ll be glad to Skype with your group. Discussion questions are on my website, too. 8– Are you a middle or high school teacher or home schooler? Chose Owl Light to read with your students. Discussion questions are on my website. Contact me using the form on my website and I’ll be glad to Skype with your group. 9– Organizing a sf/f con or writers’ conference? If you’re nearby, it would be an honor to attend and participate on writer and/or illustrator panels. Or if you’re looking for an Artist Guest of Honor, I’ve had over 1,000 illos published, and for travel expenses, room, and con fees, I’d be happy to appear. Contact me using the contact form on my website and let me know if you’re interested. 10– Create! I’d love for you to draw/paint something from Owl Light or create a youtube video dramatizing a story (or the whole book). I only ask 2 things: credit Owl Light as inspiration, and let me know about it (so I can link to it). 11– Put an affiliate buy now link for Owl Light on your website, using a program like Amazon Affiliates (doesn’t cost $ and you may make some $). I’d like to show my gratitude to anyone who does any of the above on my behalf. Please email me using the contact form on my website and let me know! – If you complete tasks 1 – 4 from the list, I’d like to publicly thank you on my social media, so let me know your handle or user name. – Complete tasks 1-5, 6, and (either 7, 8 or 9) from the list, I’d like to send you an e-copy of one of my books, and publicly thank you. – Complete 1-5, 6, (either 7, 8 or 9), and 10 or all 11 tasks, I’d like to mail you a paperback copy of one of my books, and, of course, publicly give you my thanks. PS. Thanks to Caren Gussoff for the idea for this post. This is the fourth blog in a series of owl-focused posts to promote Owl Light, my new YA-friendly collection of stories featuring owls. Each post features a mix of owl art, facts, folklore, quotes, and links to owlish sites. If you’re a fan of owls, or know someone whooo is, follow my blog, buy my book, and be kind to these beautiful birds. 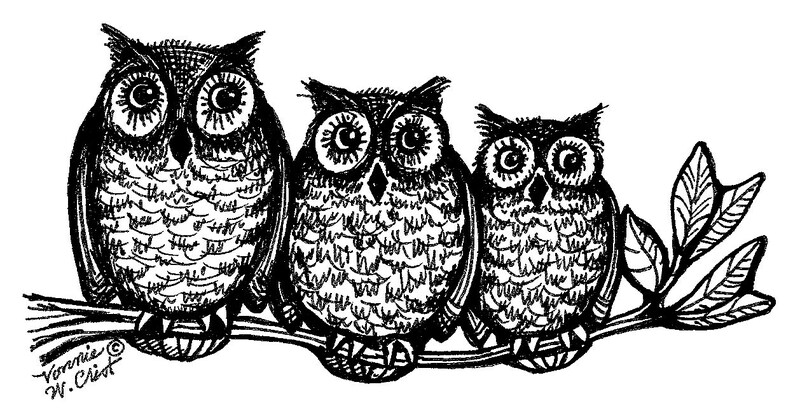 Owl art: One of my owl pen and ink sketches from Owl Light. Owl fact: Mice, voles, rabbits, insects, birds, and even fish are on the menu of owls. Since owls cannot chew their food, they swallow chunks of their prey. Later, owls regurgitate pellets of bone, fur, teeth, feathers, and other indigestible material. Owl link: Here’s an interesting article, How to Attract Owls (And Why You Want To) and a video of four species of owls hooting. I’ve always found the number 13 to be lucky. I know many of the people reading this post will disagree, whether they suffer from Triskadekaphobia (fear of the number 13) or not. Maybe it’s because my daughter was born on the 13th of the month – though I liked #13 long before then. Perhaps it’s because a baker’s dozen gives the buyer one extra donut to eat. As a writer, maybe it’s because there are 26 letters in the alphabet (2 times 13). Or perhaps it’s simply because the number 13 is unloved by others. Two thousand and thirteen has been a good year so far in my writing life. My fantasy novel, The Enchanted Skean, was published by Mockingbird Lane Press, and a collection of speculative stories, Owl Light, is due out from Cold Moon Press within a year. Plus I’ve gotten to interact with my readers at the Bel Air Authors Day (Maryland, USA), Balticon (SF/F con), the Black-Eyed Susan Book Celebration at the Towson Library (Maryland, USA), a Harford Writers Group meeting, and I’m due to speak at several other events including meetings of various branches of the Maryland Writers Association. And June 13th has turned out to be a good day, too. 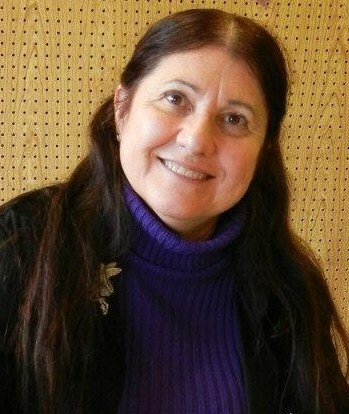 I have a guest post up on writer Anne E. Johnson’s Jester Harley’s Manuscript Page: http://anneejohnson.blogspot.com/2013/06/vonnie-winslow-crist-on-using-fact-in.html I talk about using fact as the beginning place for writing fiction. You can read about several of the facts that were incorporated in The Enchanted Skean. Happy June 13th everyone – and in my next post I’ll tell you about one of my fears and how I was forced to confront it on May 31, 2013. The end of May is always a busy time for me. Why? Balticon, the Baltimore Science Fiction Society’s annual convention, is held on the Memorial Day weekend: http://balticon.org For more than 20 years, I’ve helped with the Poetry Workshop with the encouragement of my friend and this year’s con chair, Patti Kinlock. (Of course years ago, Balticon was held on the Easter weekend – and I must say I’m grateful it’s in May nowadays). Many writers don’t bother to attend conventions and conferences, but I find it’s a good idea to interact not only with readers (and fans), but with other writers. Sometimes you just chat and listen to what others have to say about writing, publishing, and editing on the various panels, but often writers have the opportunity to network. In my case, several invitations to submit to anthologies have come about because I attended a con. I encourage writers (and would-be writers) to attend conventions and conferences. Soak up as much information as you can and take the time to network. I encourage readers to attend cons where authors and illustrators are talking about their craft, autographing their books, and happily meeting their fans. Maybe one of your favorites will be there, or perhaps you’ll discover a new author whose books are just up your alley! For those who can’t attend Balticon, here are links to 2 guest blogs by me on the Young Adult Cross-Over Market: http://patriciastoltey.blogspot.com/2013/05/the-young-adultcross-over-market-by.html and The Wisewoman Archetype: http://sandywriterblog.wordpress.com/2013/05/20/guest-post-from-vonnie-winslow-crist-the-wisewoman-archetype/ I hope you enjoy the guest posts. 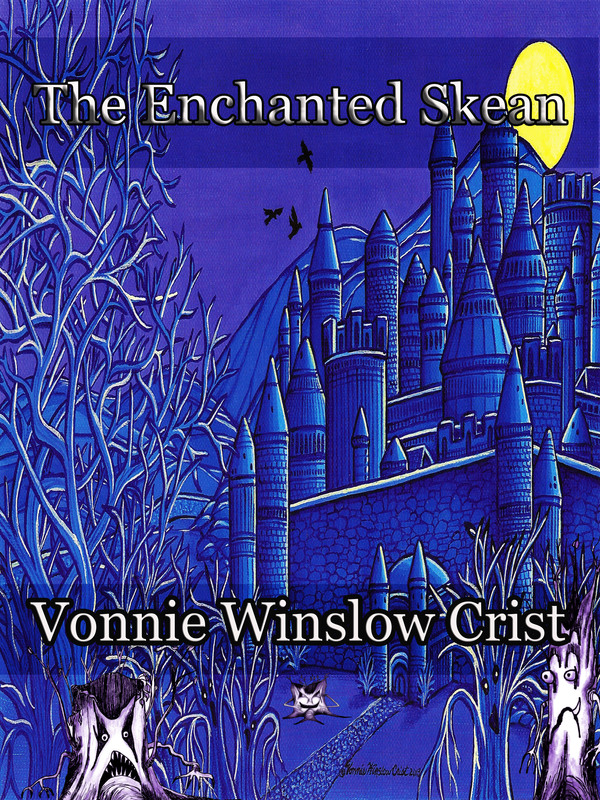 I’ll be doing more guest posts and interviews this spring and summer as I promote The Enchanted Skean. And I’ll be hoping for good reviews from readers, bloggers, and reviewers alike. As for cons – I’m planning on participating in Hallowread: www.hallowread.blogspot.com , Darkover: www.darkovercon.org and maybe one more. Have a Happy Memorial Day Weekend and keep on reading! The Enchanted Skean was begun in Feb. 2006, 1st draft completed in June 2006, novel signed with a reputable NY agent in Sept. 2006, 1st major revision 2007, 2nd major revision 2008, literary agency closed in 2009 without warning after doing little for me or my book. Sigh. Luckily, I’d continued to write short stories, two of which won Honorable Mentions in L. Ron Hubbard’s Writers of the Future contests. So, in August 2009, I set aside The Enchanted Skean, and focused on writing short stories – 3 of which were published as ebooks by Echelon Press. 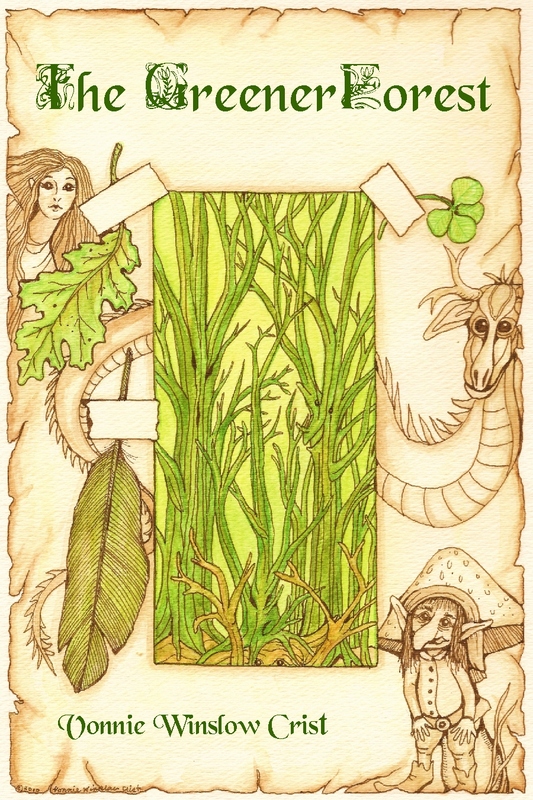 Still focused on short fiction, I wrote, revised, and had multiple stories published in 2010, and I pulled a collection of fantasy tales together, titled the book The Greener Forest, and sent the manuscript to a new publisher. After revising the manuscript according the the editor’s suggestions and adding illustrations, the book was published in spring 2011 by Cold Moon Press. With the publication of The Greener Forest, I decided to pull out and dust off my Young Adult novel. Unwilling to put all my eggs in one basket, I also wrote and found publishers for short stories. For a year, I sent query letters off to agents and publishers alike looking for a home for The Enchanted Skean. I came close twice to finding a publisher, but at the last minute, they decided to go with someone else’s book. Still, I never lost faith in my writing or the quality of my YA fantasy novel. Two weeks later, the acceptance letter arrived: “We want to publish The Enchanted Skean.” Whoot! My journey had finally come to an end. Wait a minute – not so fast. My journey from a few scribbled pages to a printed book had only just begun. First lesson learned from my Novel’s Tale: Faith in the quality of your manuscript is one of the most important things a writer can have. Stop by this weekend for another Reader’s & Writer’s Recipe, Monday for a guest author, and next week for Part II of my Novel’s Tale.